76543 was an ARG that began with a post to /r/gamedetectives and continued through a chain of puzzles. Its creator and purpose are unknown. The 76543 ARG was designed for the GameDetectives Community. It first appeared on the subreddit, after /u/ARG76543 posted a text post describing their group, and outlining that we would need a PGP Key to get our first clue. The encoded text in the post was Vigenere decoding with "arg seven six five four three" to a description of William Shakespeare, which user NickForAll found out was our key password. Using "Shakespeare" as our password, we were able to unlock another clue, which was an extract from Pslams, the third section of the hebrew bible. It didn't make much sense until users Crauss and Deiru were able to determine that the string of numbers along the bottom correspond to a letter's position in the alphabet. When decoded the message refers to multiplying prime numbers. 2, 3, 4, 9 and 76543 (the poster's username). 4 and 9 aren't primes, so after multiplying the rest it gives 459258, which was the clue to a Twitter account. 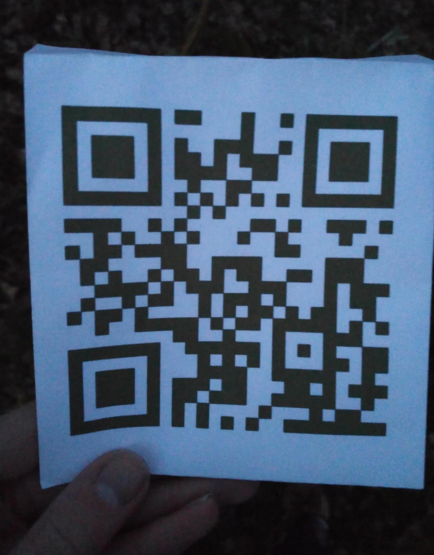 This twitter account had a darkened image, which when lightened, revealed a QR Code. A bot called argbot appeared in the off-topic voice channel, and would play pre-recorded sound-bites when given a certain key. For example, when given the key ? ?Patience, it would play Rick Astley's Never Gonna Give You Up. Hello ARG solvers. We are a small group of people just like you: programmers, security experts and games who enjoy to solve puzzles. We have participated in so many ARGs now, we felt like it was our turn to build something. Just find the right PGP keyservers, key ID and use the person to decrypt our first message. Any messages signed with this PGP key should be trusted. Sfsw wvc uw lfxopmxsx ybtjipf zt grz ss lpb lzzeysmk pviow ow naw omzw, wqmmmw xos zm’z r gsieiahzrpw. Xlu kppyilv pvlph sre “Usdrpalbskz? M yvced ufx”. The ghostbin seems to be a [PGP](https://en.wikipedia.org/wiki/Pretty_Good_Privacy ) keyserver: https://pgp.mit.edu/pks/lookup?search=76543&op=index. The first entry suggests Be2da394 is the key ID. This is the key ID to pgp.mit.edu, where the keyserver is being hosted. Some say he disguised himself in one of the greatest works of his time, others say it’s a coincidence. Pop culture would say “Coincidence? I think not”. The message refers to multiplying prime numbers. 2, 3, 4, 9 and 76543 (the poster's username) were the only numbers in the Reddit post, which is the "previous post" they were referring to. 4 and 9 aren't primes, so after multiplying the rest it gives 459258, which was the clue to a Twitter account. The Answer leads to this Twitter account named "456258ARG", which has posted multiple recent Tweets, and is confirmed to be watching us in the Discord channel. 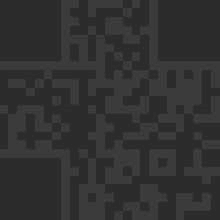 The first tweet has an [dark image](https://imgur.com/rPtC4V2) which [when brightened]( ) shows a QR code. It translates to "your key is primes", which would prove to be useful in a future puzzle. >Look in your voice chat, give him the key prefixed by ?? And he'll respond if right. You can pm him to give key. A user named Argbot appeared in the Off Topic voice channel, and players started Private Messaging the user with many words prefixed by ? ?, in the hopes that the Mastermind may respond.
? ?Shakespeare - X-files theme music.
? ?Primes - The Team Fortress 2 engineer saying "nope".
? ?Patience - The Rick Roll music. in the same manner similar to the ghostbin. We know these were human posted and not triggered by the bot. Suddenly, through an unknown key, argbot started playing Morse code. [ARC4](https://en.wikipedia.org/wiki/RC4) or the Rivest Cipher 4 is a stream cipher encryption method that requires input text and a key. Using the hex as a key, a new code was found: ??0d0d0bc3. When submitted this triggered Argbot to play the previously heard Morse code. The Morse was deciphered to "ARGBOX SERVER 128.199.63.123" which is the name of a server followed by it's IP address. [This page](https://www.check-my-ip.net/128.199.63.123-ip-address/) shows the IP is based in Amsterdam, coincidentally the Netherlands is the home of several Discord community members. >Do you know those moments when during a test run everything goes well, and in production everything fails? Well, the host decided to change the IP because of security concerns. Impressive, security concerns on an almost empty server. Anyways, be right back, and sorry for this mess, should've checked the IP. The user/bot was referring the recently discovered IP from morse and went down shortly before posting "argbox-v2 deploying....". Users checked the known codes and nothing seemed to change at first glance. After inspecting further however, the morse code from "? ?0d0d0bc3", changed from the previous iteration, likely to reflect the technical difficulties and unexpected IP change from the Mastermind's server host. There were also multiple hints saying we need to go to a location, such as Argbot's game on Discord being set to "Less talking more walking". User Sarene worked out the 3 words "slices exact edicts" could be entered into [this](https://what3words.com/) site to give [this](https://map.what3words.com/Slices+exact+edicts) location in the Netherlands. Discord users Svardskampe and Dr. Dino were chosen to go there on 17th of March, but the other users have attempted to bribe them with pizza to go earlier, with zero effectiveness. An hour or so later, Discord user TheEvilSocks agreed to go. A new key was also discovered, albiet it is not very useful. Using ? ?debug will list the channels on the Game Detectives Discord, as is seen [here](https://pastebin.com/ruRvXE97). > Oh hello. Say my name. Discord users realized that they had to input a new key to the Argbot, possibly his name. After half an hour of guesswork, someone (likely through PM) managed to get the right answer but didn't reveal the correct key. The answer gives the sound of a phone being dialed. The Mastermind himself got fed up with +900 PMs to him and revealed a Discord Username, neintrigger, who turned out to be the person spamming the bot with commands - the user was shortly removed. Roughly an hour after neintrigger's removal from Discord, the code was cracked! The keyword was "??f01b26324a65". The key was found by using "argbot" (the bot's name) encrypted with ARC4 (the previously used encryption method) with "Heisenberg" as the key. The result was "f01b26324a65" (thanks Nickforall for that one). "Heisenberg" is a character in the TV series [Breaking Bad](https://en.wikipedia.org/wiki/Breaking_Bad) and "Say my name." is a well known quote of his. The response from the key was a series of Dual-tone multi-frequency signaling, [DMTF](https://en.wikipedia.org/wiki/Dual-tone_multi-frequency_signaling). Using the tones, the phone number "+ 1 (313) 208-7879" was found, which when dialed plays [this message](https://picapi.xyz/static/message.wav) (credit goes to Dr.Dino and picapi_ for that one). A transcript will be made soon. Discord user Sarene theorized that this might be a "[what3words](https://map.what3words.com/)" coordinate - the geo-location website previously used to find the QR code. However since the message was distorted a lot it took some time to decode, but after some fixing up it yielded a location in Svalbard, which was the answer and the link to the next puzzle [here](https://188.166.22.203/svalbard.html). At the bottom of the book there are 3 numbers, coincidentally all being prime numbers. It was later discovered that these could be appended to the previously used IP address/URL as ports to find new pages. As of around 5:30 PM UTC, the IP previously found from morse and to display Svalbard opened up a [new page](https://188.166.22.203:626) ([archived version](https://web.archive.org/web/20160317222841/https://188.166.22.203:626)) and started displaying a long hex string. The port is the first of three numbers at the bottom of the runes book, suggesting more might come. The page adds 2 hex characters at a time every second, and has been since it went live. Attempted decodes suggest it is a sound file. As of 6:18 PM UTC, Argbot's current game on Discord changed to "GlaD I am not you. 1240". In the runes book, 1240 is the second listed number, and at the same time the [relevant page](https://188.166.22.203:1240) ([archived version](https://web.archive.org/web/20160317222732/https://188.166.22.203:1240/)) opened up. It shows the ending sequence from Valve's 2007 game, Portal (with the ascii art and music) except with the headers changed to direct messages to us, the players, telling us to "keep going as we're close". As of 12:05 PM UTC, the [final page](https://188.166.22.203:2427) (from the list of numbers) remains closed. Whether this is because the mastermind is making us wait or because we are yet to solve a puzzle is unknown. The Hex string ([found here](https://188.166.22.203:626/)) was found to be a wave file that says "76543" in [DTM](https://en.wikipedia.org/wiki/Dual-tone_multi-frequency_signaling) tones. At the end of the line it says "NOT THE PRIMES". Argbot started to speak in chat for a little while after being stuck as to what to do next. 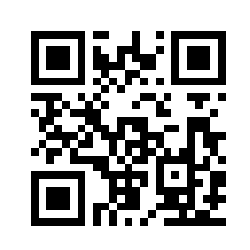 This was the code used to obtain the red herring badge in Game Detectives first ARG, Winter steam sale. Around the same time as this the ending song, "Want You Gone", from [Portal 2](https://en.wikipedia.org/wiki/Portal_2) started playing on Argbot's audio without any prompt being said in the public channel. This was later found to have been triggered by the Puppet Master him/herself. >is the 2nd song just now triggered by a user here? >Seriously, read it and use it. "? ?and killed me" was discovered to play the [Portal ending song](https://www.lyricsmode.com/lyrics/p/portal/still_alive.html). It has been noted multiple times that the song appears to speed up and slow down strangely. It was found from the hint from argbot, 33, referencing that line in the lyrics to the song. "? ?Byha" was discovered to play the [Portal 2 ending song](https://theportalwiki.com/wiki/Want_You_Gone). It was found using the word "cake" decrypted with the [76543 cipher](https://pastebin.com/KTBLdQhG), the same cipher used to decipher some of the book text earlier on. Shortly after finding Byha, argbot's game changed to "1v7531 = solved", leading some to believe that they had either solved the ARG, or solved a red herring. There was no announcement, and many clues left unsolved. > Don't give up solvers, you are almost there. Honestly. This was followed by the "? ?Byha" prompt starting again, the one that played ending [song from Portal 2](https://theportalwiki.com/wiki/Want_You_Gone). However there was no message in the public channel, suggesting either someone PMed the bot or it was triggered manually by the mastermind, as had happened before. NickForAll solved the arg by finding the final link [here](https://188.166.22.203:1240/thankyousolvers). It shows the Discord chat singing still alive while special credits roll thanking certain people like the discord mods. The chat singing comes from the Winter ARG. Afterwards Argbot went into the chat to congratulate and host an AMA. This page was last edited on 30 May 2018, at 00:18.